When you delegate your roofing concerns and other needs to Carolina Storm Roofing, who is an expert roofing contractor in Charlotte NC, you will surely not be wasting your time and money. We can assess your needs and provide you with roofing services that get you the most for your money. 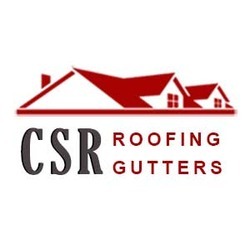 Here at Carolina Storm Roofing, our company recognizes that you have better things to do than to think about your leaking or damaged roof and gutter system at home or your place of business, which is with our assistance we will provide you the most simple, easy, and fast solution to save not just money but your precious time. Carolina Storm Roofing is a family owned and operated residential & commercial roofing and gutters contractor that you can trust with all your roofing and gutter system concerns. A wise homeowner and business manager like you understand the benefit of working smart and getting most out of your budgets by choosing professional roofers to settle any roofing issues you are currently facing. Seeing that, Carolina Storm Roofing offers our services to address such need of a professional roofing companion. As a leading local roofing contractor in Charlotte, North Carolina, our company has been known in the roofing industry for quite some time now. We have been working with homeowners, building owners, property managers and facility managers to address their unique roofing issues and concerns. Since we fully grasp the importance of a functional roofing system as part of your entire building asset, Carolina Storm Roofing strive to meet each customer’s individual needs, regardless of its size and complexity. Our company is here to help you with any roofing and gutter system concerns that may have been plaguing you, your family, or your business. Here at Carolina Storm Roofing provide both long-lasting roof repair and complete roof replacement. Hence, affording our valued customers, residential or commercial, a peace of mind when it comes to their roofing system that lasts a lifetime, almost. Working with professional roofing contractor like Carolina Storm Roofing will guarantee you a high-quality service and output. With us in the frontline of any roofing issues or concern, you will be relieved of your headaches as we take care of it for you. As one of the best in Charlotte residential & commercial roofing industry, our company provides services that extend from residential and commercial needs, which include but not limited to roof installation, roof repair, roof replacement, and inspections. When it comes to your roofing needs, you can count on us for we have the most extensive knowledge on all forms of roofing materials and the building types. Similarly, since most of your services, falls under the category of residential and commercial, it would mean that we are able to provide the following. If you want to save money in the long term, you should invest more in regular maintenance schedule. You should make the repair to any roofing and gutter system damages or issues a priority. Leaks and flashing issues, regardless of its size, will ultimately result to costly damages. That is why experts like our company are here to remedy the issue before it gets worst. With Carolina Storm Roofing at your side, any construction, home or commercial building will be safe and well protected when you allow us to deal with the roofing installation and other related needs such as gutter and gutter guard installation. It will always be our pleasure to help you protect the stability of your building as well as your residential roofing in Mooresville, NC, and keep it leak free for a longer period of time. Similarly, our knowledge and experience in roofing installation on the different building types will also be valuable in mitigating or avoiding any costly mistakes that may likely lead to a job redone. When you simply need to replace your roof, whether a complete or partial replacement, Carolina Storm Roofing is also here to assist you with such need. Replacing old or broken shingles may be tricky, from the material selection up to the actual re-roofing project, which why professional intervention is highly advised. With the intervention of our company, we can perform the difficult task for you that are part of the re-roofing project, like the tearing-off process and the actual installation. Overall, re-roofing services that we provide is a guaranteed to be quick and affordable. Regardless of your roofing and gutter system needs, Carolina Storm Roofing is Charlotte’s number one residential & commercial roofing contractor you can depend. Let us take care of your roofing needs now, contact us today. Carolina Storm Roofing is one of the leading roofing contractor in Charlotte that you can trust. Based on our experience and history of addressing various roofing system issues for both residential and commercial structures, we are aware of what you want. That is why our clients chose us and remained with us because of the high-quality materials that we provide, the expert and highly qualified workmanship we deliver, competitive prices we offer, and the reliable services we perform. Our capability to cover a broad scope of roofing and gutter system issues is second to none. As confirmed by our certifications, licenses, and the A+ Rating from Better Business Bureau. If you want to experience an efficient and economical roofing service, then Carolina Storm Roofing is the best fit for you. Here at Carolina Storm Roofing, we understand your needs, both of the roofing aspect and that of the financial aspect. That is why when you deal with our company, you will be given financing options that will suit your needs and current financial capacity. We believe that no home should be left ravaged by any roofing issues, which is why we try our best to meet our clients half-way as we provide them with the best roofing service there is in Charlotte. Here at Carolina Storm Roofing, we strive to provide you, our valued customers, the best services and high-quality materials for your roofing and gutter system needs, which may include but not limited roof replacement, roof repair, roof inspection, and other roofing needs. For any project that may require our expertise, you may contact us through our Hotline Number: 704 307-9171. Our friendly representatives are waiting to assist you. Contact Us Today! Our company extends our roofing services throughout North Carolina, and if you want to avail of our free roof inspection, schedule a visit by calling our hotline number or by simply visiting us at 11809 Five Cedars Rd, Charlotte, NC 28226.